The late Bill Brown OAM was an Australian test cricketer, teammate of the late Sir Donald Bradman, and a member of the legendary Invincibles. He made his debut for New South Wales against Queensland at the Gabba in 1932 and was Wisden Cricketer of the Year in 1939. Bill would have undoubtedly played more test cricket if it were not for the war. In June 2000, he was awarded the Order of Australia for service to cricket as a player, selector, coach and administrator and for his involvement with the cricket charity Lord’s Taverners. 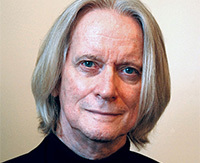 Dr Tony Gould AM is a performing arts pioneer and has been a driving force behind the development of Queensland’s performing arts for decades. 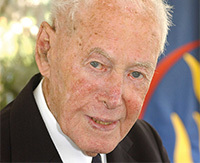 In 1979, Tony was named Director of Queensland’s Performing Arts Complex and, under his direction, the complex became internationally known for its contribution to social justice performing arts programs, arts education activities and special initiatives. Following this role, Tony left another legacy as Artistic Director of Brisbane Festival for five years. Queensland’s dynamic arts industry has thrived under Tony’s leadership, vision and through his development of artists and new companies. 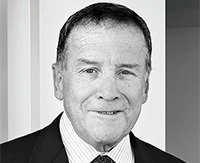 Terry Jackman AM is one of Queensland’s leading business identities and has been an influential figure in the growth of the state’s tourism industry. Terry worked at Birch, Carroll and Coyle Limited, Brisbane for 20 years with the last 5 as the company’s Chief Executive. In 1989, Terry formed Pacific Cinemas Pty Ltd, one of the largest privately owned cinema exhibition groups in Australia. In Terry’s role as the Chairman of Tourism Queensland, he played a central role in the success and growth of Queensland’s tourism industry. 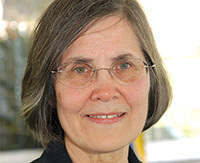 Dr Aila Keto AO is an environmental activist and recognised authority on world heritage. Aila helped achieve the landmark closure of the rainforest timber industry in North Queensland in 1988 and the subsequent end of all rainforest logging on Queensland public land in 1994. Aila also achieved three successful world heritage listings—the Wet Tropics, Fraser Island and the Central Eastern Rainforest Reserves of Australia. In 1988 the listing of Queensland’s Wet Tropics as a world heritage site saved 1.5 million hectares of land, then in 1999 another 1.25 million hectares of Queensland hardwood forests were preserved through the historic South East Queensland Forest Agreement. 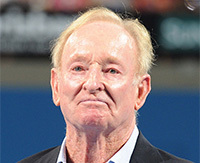 Rod Laver AC MBE is an international sporting star who left school at age 15 to pursue a career in tennis. His maiden international triumph came during his first trip abroad in 1956 when he won the US Junior Championship at age 17. Rod’s career boasts 20 major titles in singles, doubles and mixed doubles. Rod turned professional in 1962 and during a 23-year career that spanned the amateur and open eras, he won 47 professional titles in singles and was runner-up 21 times. Rod has been inducted into the International Tennis Hall of Fame and the Sports Australia Hall of Fame.